The American Academy of Pediatrics (AAP) has issued a policy statement calling for an end to corporal punishment, including spanking. These forms of punishment are tied to negative outcomes in every developmental area. Children spanked regularly at age 3 had increased aggression risk by age 5. They also had more negative behaviors and lower vocabulary scores at age 9. Abusive behavior raises stress hormones and is associated with mental health struggles. Verbal abuse should also be avoided. 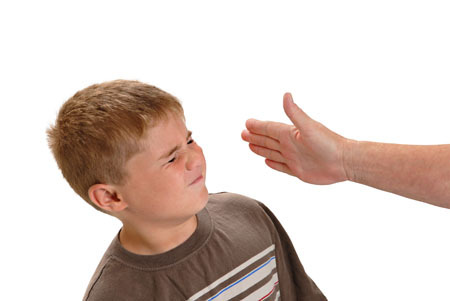 Verbal abuse includes punishment that shames, humiliates, threatens, frightens, or ridicules a child. Use of time outs, removal of privileges, and other forms of quiet discipline are recommended alternatives. Editor’s Note: In our research network, the Bipolar Collaborative Network, we found that verbal abuse by itself (without the physical or sexual abuse that often accompany it) is associated with an earlier age of onset of bipolar disorder and a more difficult course of illness. Family focused therapy (FFT) and other forms of family therapy are highly recommended for children of a parent with bipolar illness. These children are at high risk for a variety of psychiatric diagnoses, and those already experiencing depression, cyclothymia (mood swings between high and low) or a diagnosis of bipolar disorder not otherwise specified (BP-NOS) are much improved with FFT compared to treatment as usual. FFT teaches family members to recognize symptoms of illness for what they are rather than interpreting them as deliberate hostility, increases family communication and problem solving, and leads to good long-term outcomes.